UPDATE (3/29/18): Repair work is delayed until further notice, according to the Department of Land and Natural Resources. The trail remains open, but parking will be restricted this three-day holiday weekend. Contrary to popular belief, the Lanikai Pillboxes are not really pillboxes. The two concrete structures on Kaʻiwa Ridge were built during World War II to be observation stations, not sites for defensive armaments. But it wasn’t until the 1980s that this trail got any attention. Cestare was one of the lawyers who helped halt development. The state condemned the property and added it to its trail inventory. Cestare is now president of the Lanikai Community Association. I recently joined him for a quick afternoon hike. 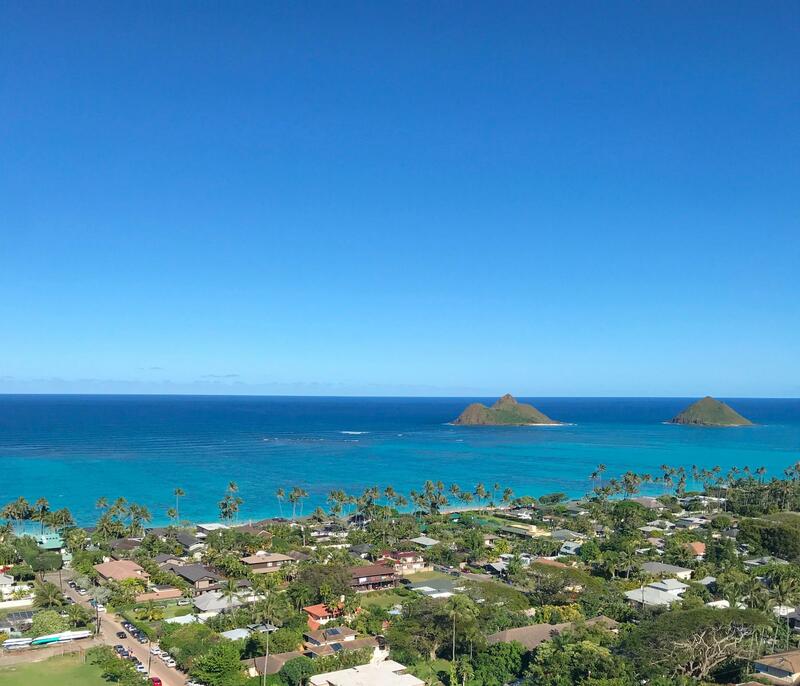 “For a relatively short hike, you can see all the way down to Makapu’u and all the way up to La’ie Point,” says Cestare. Tom Cestare points out a portion of the Ka'iwa Ridge Trail that is no longer used. Spectacular views in less than 15 minutes is like striking hiking gold. But for trailhead communities like Lanikai, the increased traffic, litter, erosion, and so on need to be addressed. Aaron Lowe oversees the state Department of Land and Natural Resources’ Nā Ala Hele Trails and Access Program. He says growing community concerns prompted further action. Lowe has been working with a contractor since January to gather public input in developing a trail management plan for the 1.25-mile hike. The Lanikai Community Association has been working closely with the contractor. “We are really thankful that the state has undertaken this opportunity to attempt to manage this trail and hopefully this will be a model for other parts of the state,” says Cestare. Lowe says once the plan is complete, the next challenge will be justifying a budget allocation from the state legislature. Managing Hawaiʻi's hiking trails is becoming an increasingly complex challenge. Recent news reports of stranded hikers and fatal hiking incidents on our trails have some questioning the effectiveness of unmanaged trail access. Supplying enough recreation for its residents and the revolving door of tourists is an official task of the state Nā Ala Hele program. The trail and access program manages the state's hiking inventory and maintains all state-sanctioned trails across the island chain. HPR reporter Kuʻuwehi Hiraishi has more.